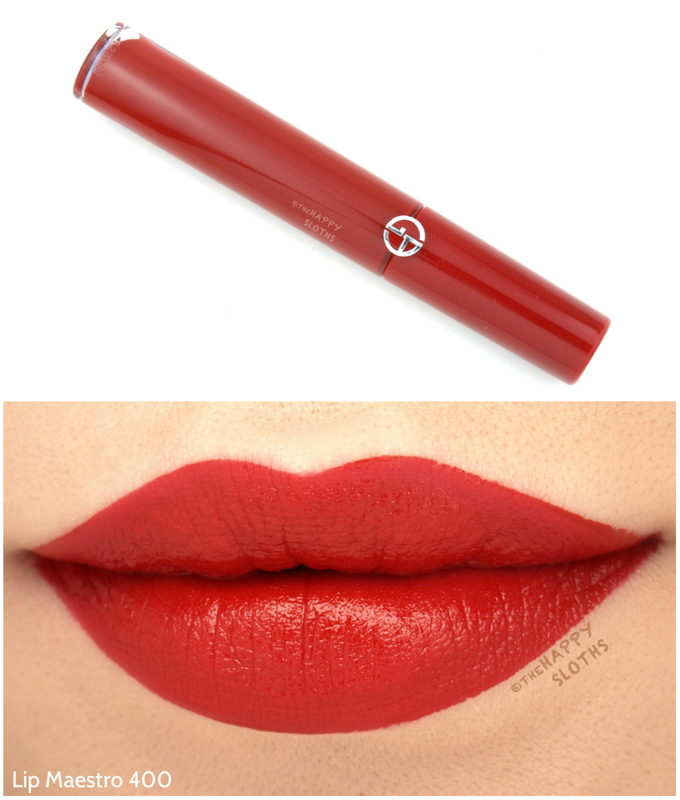 Simply put, this is the perfect classic cream lipstick in a beautiful true red that's not too blue and not too orange. The formulation is lightweight, silky, and very hydrating. The finish has an alluring satin sheen and the pigmentation is just wonderful! 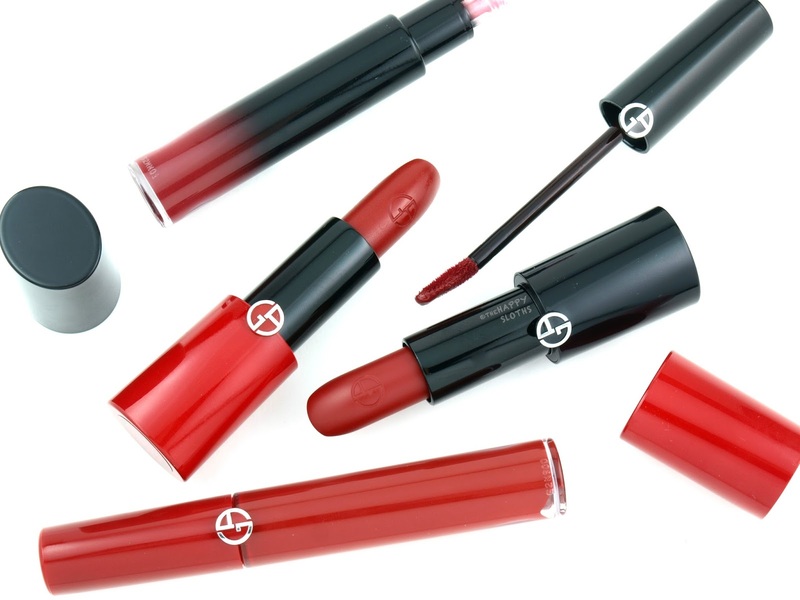 Giorgio Armani Beauty | Rouge D'Armani in "400"
Seemingly identical to the "400" Rouge D’Armani (above) when swatched on the back of the hand, the Rouge Ecstasy in "400" has a slightly sheerer, more translucent finish. The color is less saturated in comparison but nicely pigmented nevertheless. This version of the "400" red feels fresher and more day-friendly and I feel like it almost leans a bit pinker than the other three versions. Needless to say, the formulation is also slick, smooth, and very moisturizing. 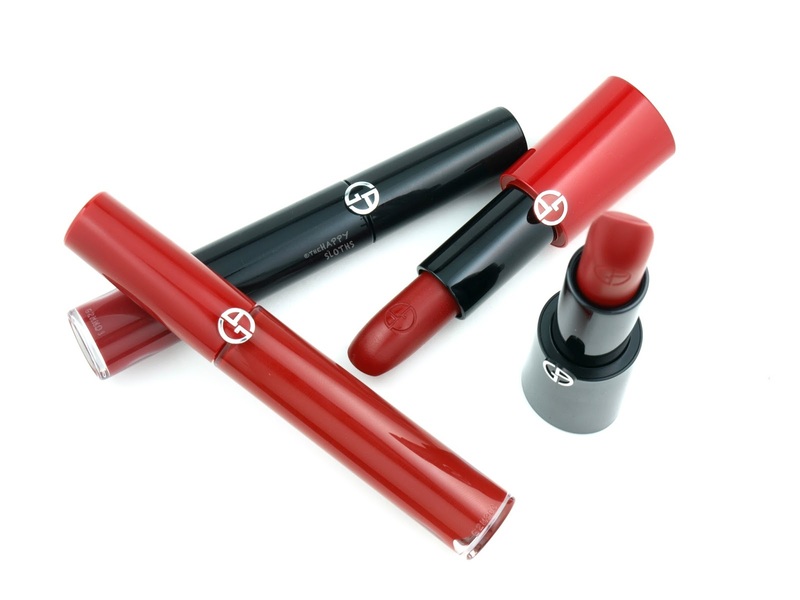 Giorgio Armani Beauty | Rouge Ecstasy in "400"
A much more intense interpretation of the classic red, the "400" Lip Maestro is a rich and creamy liquid lip color. 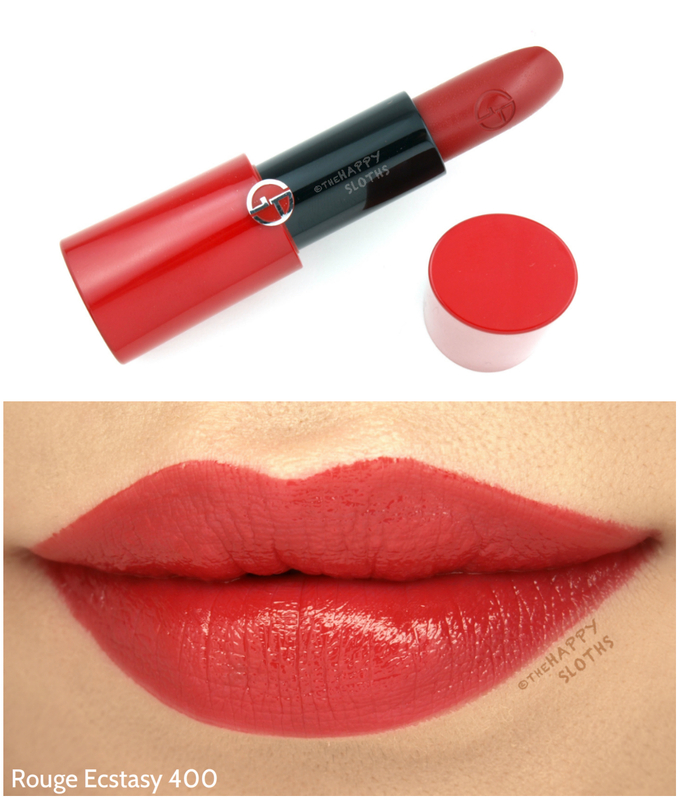 The product applies like a dream and sets to a demi-matte finish. 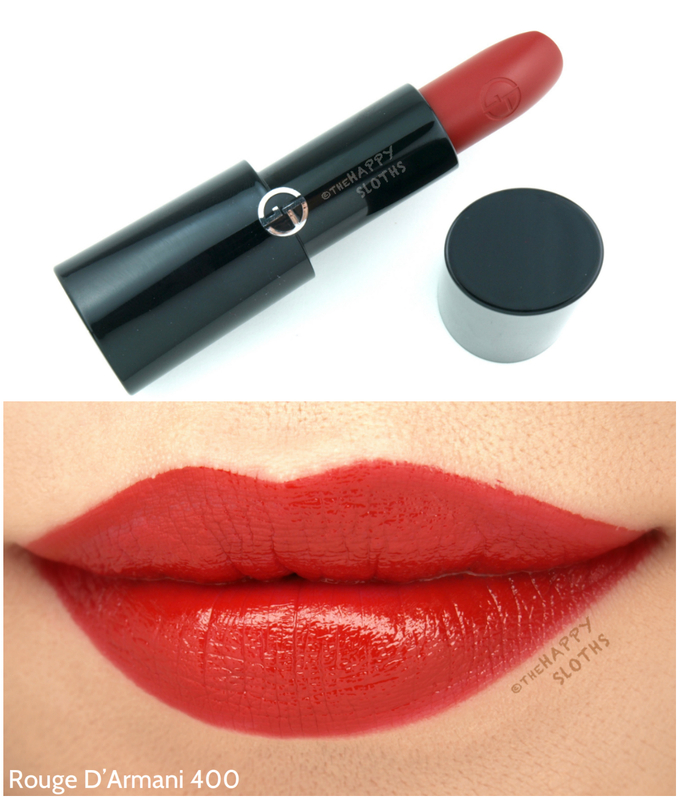 The wear isn't transfer-proof but it's still very long-lasting. This red feels the warmest out of the three, but it's definitely not orange. If you are looking for a classic red for a special occasion, this is the one! 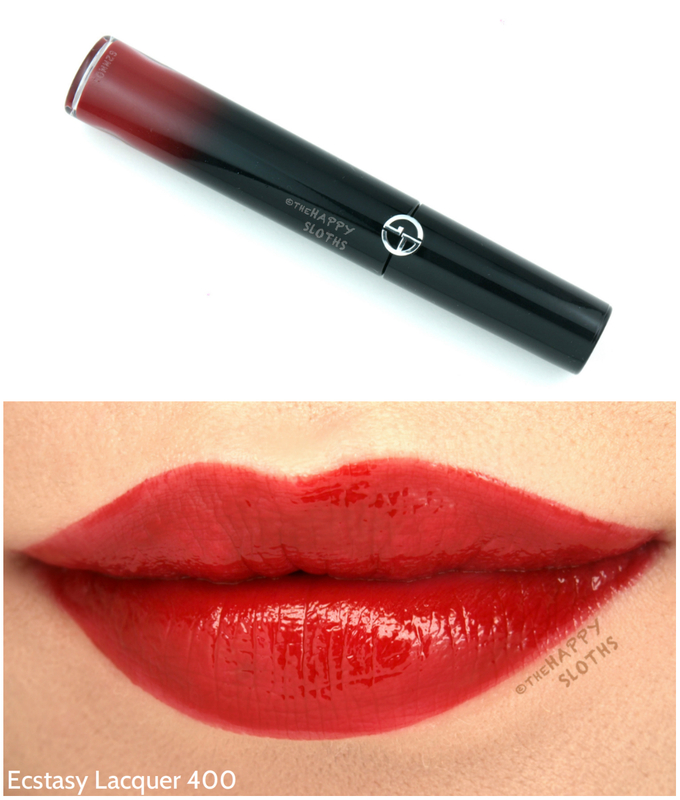 Giorgio Armani Beauty | Lip Maestro in "400"
Similar to the YSL Vinyl Cream Lip Stain and the Shu Uemura Laque Supreme, this is a pigmented and shiny liquid lip stain. Formulation-wise, the product is actually a bit tricky to work with. The application isn't super even, so I ended up applying more than needed to smooth out the coverage, which led to a sticky and thick finish that moved around whenever I pursed my lips. The finish is very beautiful and glossy but the application definitely requires some practice. The wear isn't transfer-proof but the product does leave behind a nice stain. 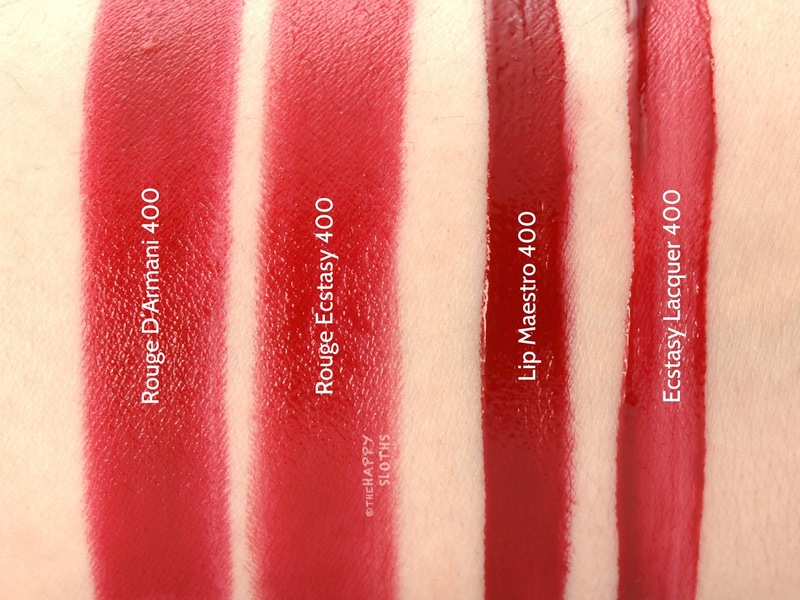 Giorgio Armani Beauty | Ecstasy Lacquer in "400"
Below are some side-by-side arm swatches of the four "400" shades. Although the colors look similar in the photo, each is slightly different compared to the others, offering up a unique finish and look. Which one is your favorite version of the "400"? My personal pick is the Rouge D'Armani!